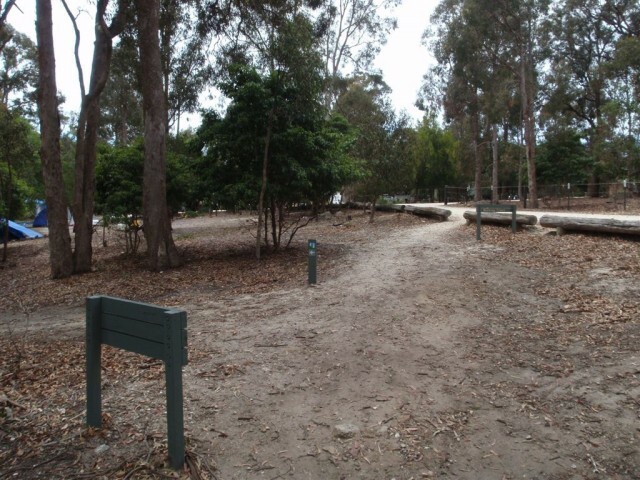 Turn sharp left: From the road just near the picnic area, this walk heads down the hill, passing through the picnic area and down the stairs. 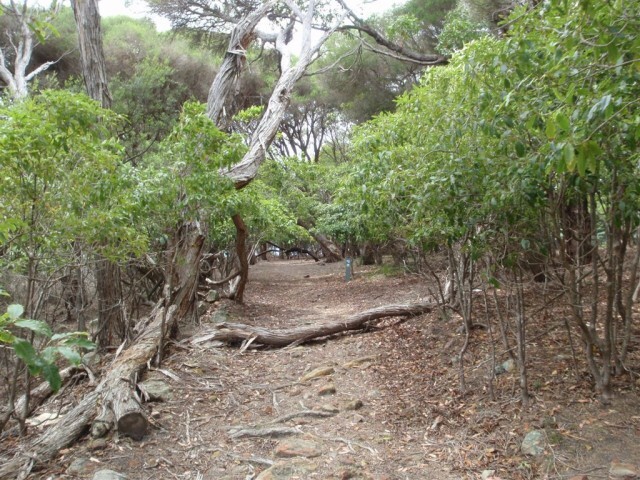 The water and beach are visible through the trees, the track soon leading down onto the beach. 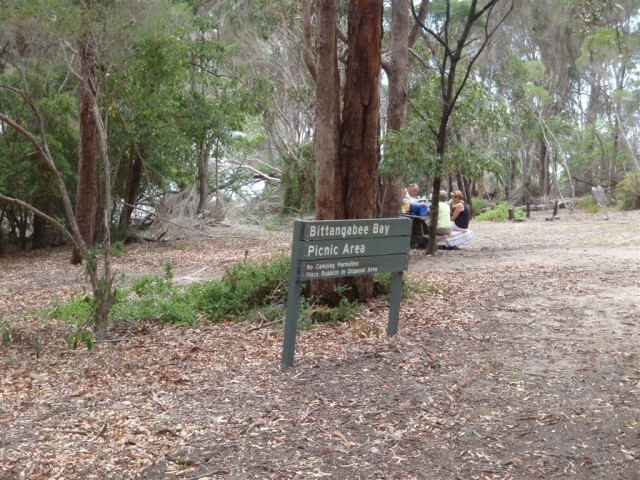 From the picnic area, the walk follows the sign to 'Camping Area 500m', keeping the car park on your right. 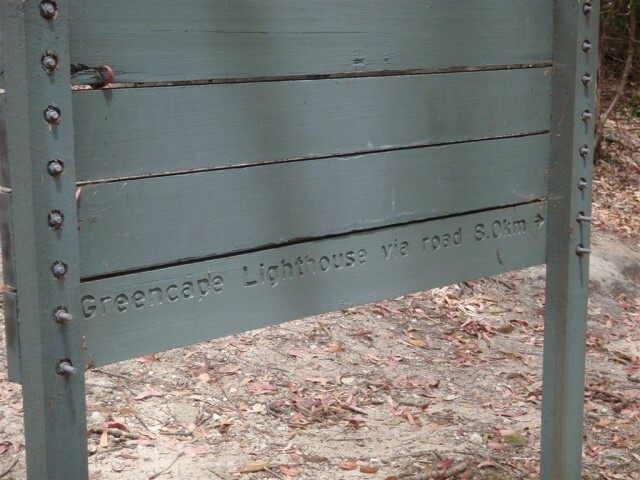 The track leads below the road (above on the right) for some time, following the arrow markers to a signposted intersection next to the log road barriers. 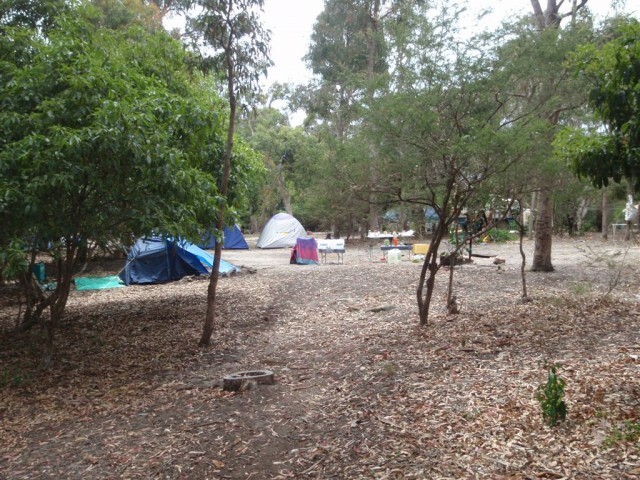 A popular beach-side campsite, Bittangabee campground is a bush campsite with a short walk to the nearby Bittangabee Bay. 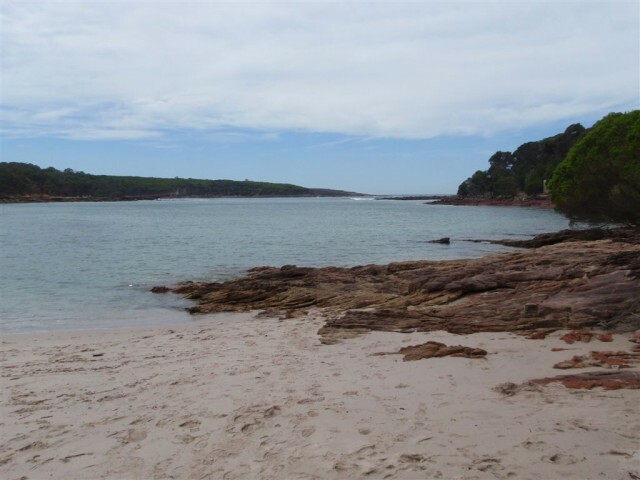 The bay has a beach and a couple of creeks. 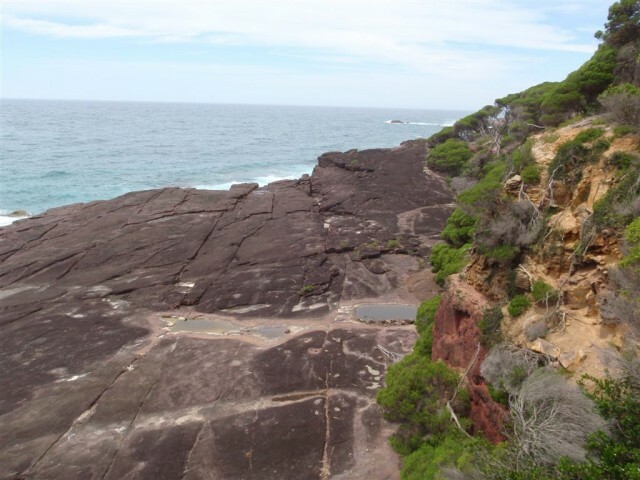 This is a great place to access the coastal walking track - there is also plenty of swimming, fishing and snorkeling. The area has some interesting history, with the ruins of the storehouse and Imlay Brothers' house worth exploring. There are a some rainwater tanks, but these are not suitable for drinking so bring your own water. 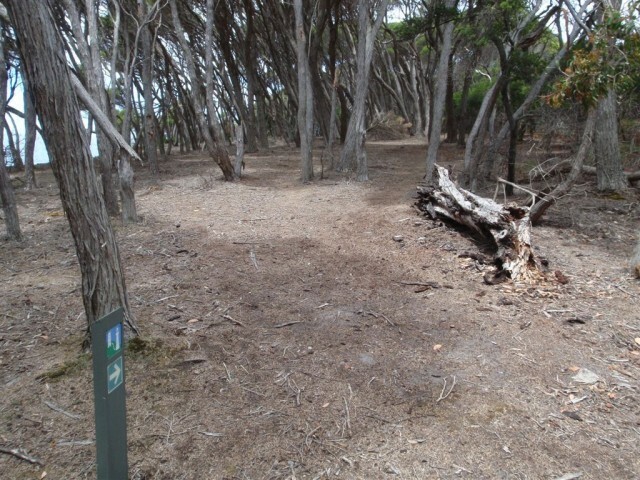 Turn left: From the intersection, the walk follows the sign for 'Walking Track' (not the same direction as the 'Beach' arrow) down the hill. The track leads down the hill a short way to an arrow track marker. Continue straight: From the intersection, this walk does not follow the arrow marker but heads straight down the hill towards the water. The walk steps down to the water's edge where there is a roofless building on the right. The walk follows around the building on the water side, to an information sign. Veer left to rejoin the main walk, following the notes from 0.33km 'Int. Light to Light Trk and Bittangabee Storehouse Trail'. 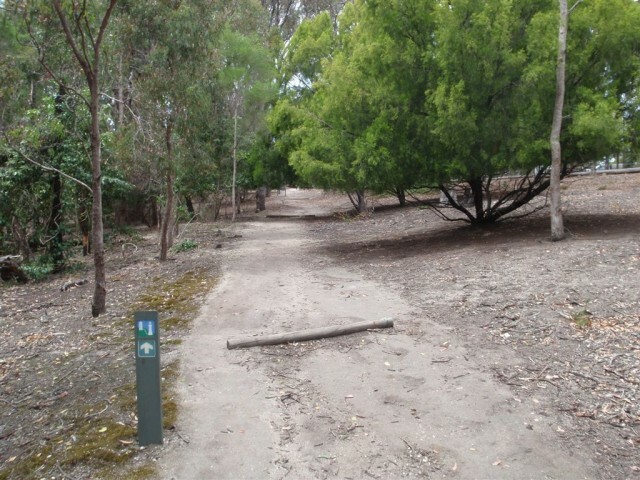 Turn right: From the intersection, this walk follows the 'Walking Track' sign and arrow posts up the hill. 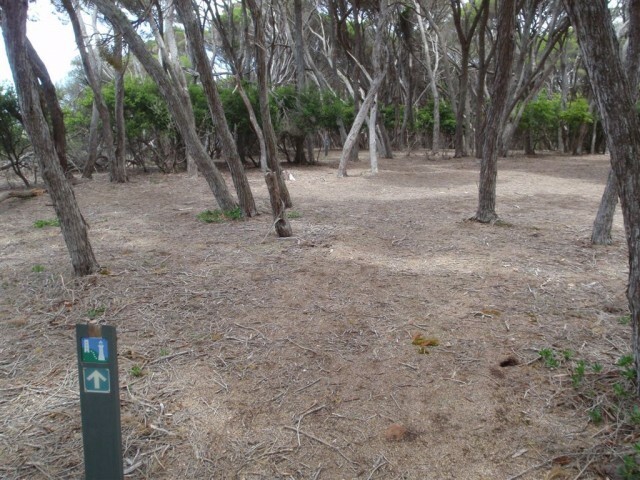 The track winds through the heath and melaleuca for a short time, passing near the campsite (on the right) while following the arrow markers. 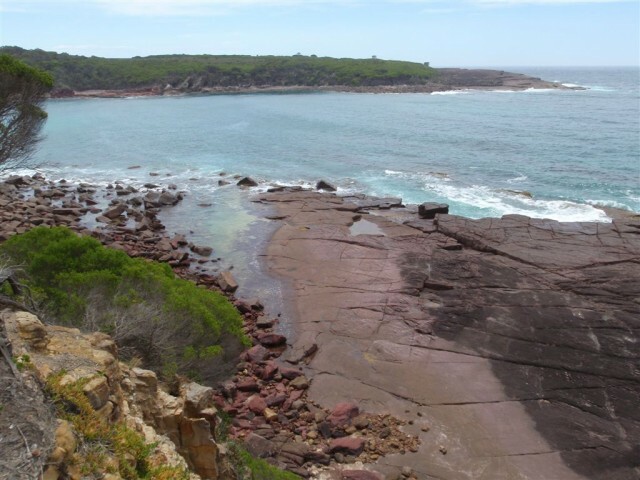 The track leads closer to the sea on the left, to a clearing overlooking a rock shelf below at the sea and the mouth of Bittangabee Bay. Google can't give you a route plan to the start. Google can't give you a route plan from the end. 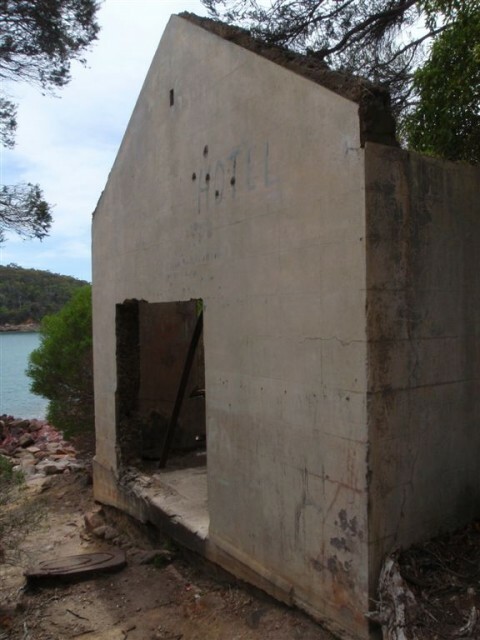 A list of the nearest UHF CB repeaters I found to Bittangabee Bay to Southern point lookout.